Product tanker owners and analysts are increasingly confident the market is moving towards a tipping point despite previous false dawns during the past year. An increase in rates during the past two quarters is fuelling the positive sentiment as inventories come down along with the newbuilding orderbook. Kim Ullman, chief executive of Concordia Maritime, has been vocal about expectations for an improvement in rates and his feeling is strengthening, he told TradeWinds. “If you can be convinced in the future, we certainly are,” he said. Product inventories have now reached the five-year average, which had been seen as a benchmark for better times. According to International Seaways, the level of oil products in storage in the US is now below 800 million barrels, the lowest since the second quarter of 2015. He added: “If you look at our own refrigerator, if its full of milk, why would you need to go to the grocery store? You don’t need to, so you don’t need the bicycle outside. It’s the same thing here. Spot rates have improved during the past few months and owners will be hoping this latest spike can be sustained. Magnus Fyhr of Seaport Global placed MR rates at $13,000 per day at the start of this week, in line with his forecasts for the second and third quarters of the year. 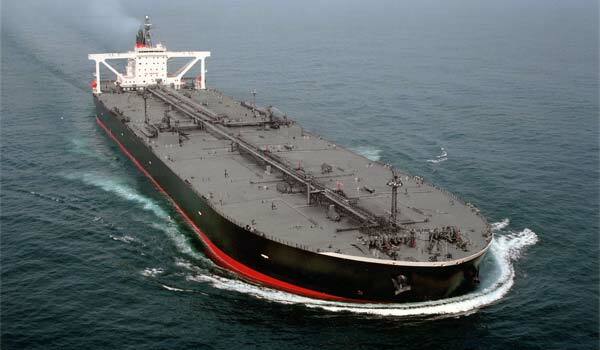 “While the outlook for the crude tanker market remains challenging, we believe the product tanker market is nearing an inflection point as limited fleet growth and steady demand growth provide a positive backdrop for the sector,” he said. International Seaways saw its MR tankers earn $11,235 per day in the first quarter of 2018, with its second quarter bookings climbing to $12,900 per day. That compares with the $12,000 per day break-even rate for the vessels. Jeff Pribor, chief financial officer of the shipowner, said on its quarterly conference call late last week that the company was a long way from calling the market. “But you can certainly see it that while there is continuing weakness in the larger segments, the smaller segments have ticked up now, the MRs for two quarters in a row,” he said. Marco Fiori, chief executive of d’Amico International Shipping, told TradeWinds: “There is a little bit more a feeling of bubbling in the market. Then you have spikes and you have a strong market sometimes in the Atlantic and sometimes in Asia.